Enter your name and e-mail address to receive news about special offers of interior furniture design and promotions. 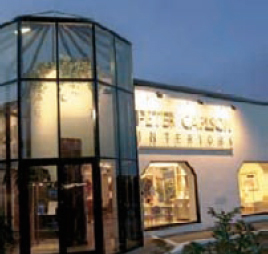 Peter Carlson Interiors have evolved; after 48 years of trading on the high street, nationwide demand and the advancement of technology has enabled this renowned and highly regarded modern furniture business to transform into a 21st Century destination for inspiring international furniture. In 2012 ironically, founder Peter envisaged and planned retirement, however his talents became restless and after encouragement by his daughter Debbie, a futuristic duo is now at the helm of Peter Carlsons fresh identity. Furniture Addiction is the modern day personality of Peter Carlson; each of the stylish collections have been personally selected and created with stylish trend led individuals in mind. Talented buying expert Peter continues to travel the globe to select superior interior pieces for inclusion within Furniture Addictions stylish furniture and lighting collections. To mark the families 48th year of specialising in modern contemporary furniture; we encourage all modern furniture enthusiasts to enjoy the ability of being able to purchase stylish furniture and lighting online at your convenience at www.furnitureaddiction.co.uk. How much is delivery? Free - UK mainland delivery service is standard (on all orders above £200 & exlusions to remote postcodes apply). Expertise and advise is in abundance; so contact our International Furniture Experts today for assistance with any furniture and lighting requirements. Would you like some help in finding the best interior solution for you?